Now another interesting turn in the story is the writ petition filed before the Supreme Court with presiding judges being Justice P Sathasivam and Justice Ranjan Gagoi, against the removal of Justice A K Ganguly as chairman of WBHRC. The petition alleges that Justice A K Ganguly has been a victim of conspiracy as he gave an arbitration award in a matter involving a football club of Kolkata and All India Football Federation, in which the intern also participated. The petition filed by a Delhi Resident M Padma Narayan Singh is posted for hearing on the sixth of January. Whether justice Ganguly is victim of a conspiracy or the perpetrator of a crime remains to be seen. And yet that fateful evening, he was indeed in Delhi as a ‘one man committee’ for All India Football Federation conducting an enquiry into the football violence during a match between Mohan Bagan and East Bengal. 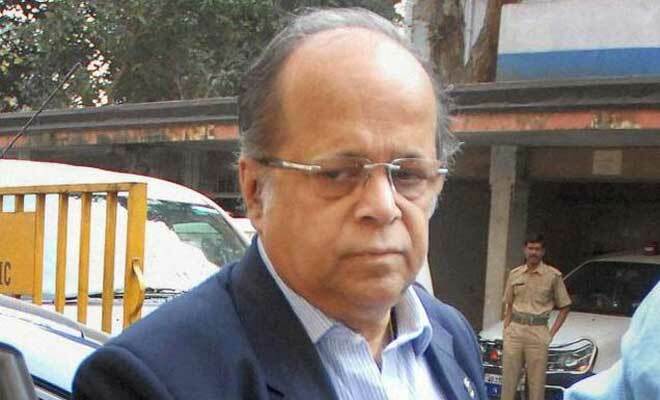 The petitioner who is claimed to be the daughter of a former Judge P.N.Singh alleged in the PIL that [http://ibnlive.in.com/news/pil-in-sc-alleges-mohun-bagan-used-law-intern-to-fix-justice-ganguly/443316-3.html] "In this well planned conspiracy against Justice AK Ganguly, the Mohun Bagan has used the female intern who had prepared the case report on Mohun Bagan in the above said arbitration matter between Mohun Bagan and All India Football Federation, in New Delhi in December 2012. AIFF also corroborates the said conspiracy." "Mohun Bagan managing director Anjan Mitra has written to AIFF president Praful Patel asking him to review the judgment passed by Justice Ganguly on the ground of his questionable integrity as he had been accused by the said female intern of sexually harassing her,"
The petition asserts that such a move against justice Ganguly is an attempt to malign his image considering the award he delivered in that matter. The petition also asserts that the charges being leveled against the retired judge are time barred as the limitation period for such charges is three months. The petition provides that the provisions of Sexual Harassment of Women at Workplace (Prevention, Prohibition and Redressal) Act, 2013 were not in force during the period of the alleged incident. The petition also includes Indira Jaisingh as one of the defendants because of her conduct in trying to malign the former judge’s reputation by making the law intern’s affidavit public without obtaining the requisite permissions. "There has been a steep rise in the abuse of criminal law in the hands of the individuals with vested criminal interests abetted by unscrupulous lawyers, with the growing materialistic Indian culture of making big money quickly through corrupt means unlike western culture which is turning towards spiritualism," the PIL said. “The Home Ministry has pointed out that under the Foreign Contribution Regulation Act, Justice Ganguly was an Indian public servant, and his staying at Park Lane, Block 5 in Clifton, Karachi, qualified as accepting "foreign hospitlity" without taking prior permission from the Centre or the West Bengal Governor, though it was required under Rule 6 of the WB Human Rights Commission Rules.The retired Supreme Court judge was a "guest" of Pakistani national Faisal Siddiqui.The Home Ministry has also said that Justice Ganguly's air tickets were paid for by an NGO Socio Legal Information Centre based in Delhi.The ministry has also said that Ganguly took paid employment when he conducted arbitration proceedings for the All India Football Federation while serving as WBHRC chairperson, an offence which can lead to his removal by the President under Sec 23(2) of National Human Rights Commission Act”.